Giorgos Kyriakopoulos is one year younger than than his team's average age, as he was born on 05.02.1996. 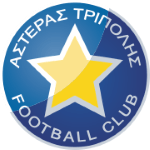 The club of Giorgos Kyriakopoulos, Asteras Tripolis, presently holds twelfth position in Super League (Greece) and first position in group Gr. 6 of Greece Cup (Greece). In terms of preferred feet, he is a left footer, like 25% of Asteras Tripolis. He played 29 matches this season. With a height of 1.78m, Giorgos Kyriakopoulos undercuts Asteras Tripolis's mean tallness by 2. 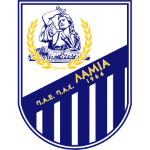 He is playing as defender in Asteras Tripolis together with Alexandros Kardaris, Panagiotis Diamantopoulos, Konstantinos Triantafyllopoulos, Grigoris Fotopoulos, Angel Martinez, Patricio Matricardi, Valentinos Vlachos, Ioannis Christopoulos, Christos Tasoulis, Robert Kumadey and Triantafyllos Pasalidis. In the recent term, he managed to find the net three times and provided not once additional assists which accounts for 4.8% of Asteras Tripolis's goals in Super League 18/19 (Greece). He scored an average of 0.1 goals and provided 0 assists per game so far, marking a slightly impaired performance when compared to last season, when he had 0.1 strikes and 0 assists per match. 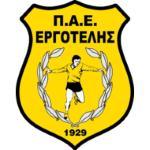 Giorgos Kyriakopoulos reached the 93 appearances milestone as a professionl, the last one being ten days ago. He impressed in Super League 17/18 (Greece), reaching his personal record of goals. He managed to attract a lot of good feedback after his performance at Lamia, the team he was subjected to before joining Asteras Tripolis. Considering he weighs around 149.91lb, Giorgos Kyriakopoulos is approximately 15lb lighter than the average player of Asteras Tripolis. While being substituted more out than in this season, the contrary occured the year before. Moreover, he shows 19 out and 17 in substitutions in total. His record stay with a club is his current one with five years and 10 months. Throughout his time as professional football player, Giorgos Kyriakopoulos was sanctioned with a card 19 times resulting in a mean value of 1.58 cards per play time. This season he was given five yellow and one red cards. Five months was the stubbiest period that he was contracted to a team (Lamia from Greece) He wears the jerses number 77 strip at Asteras Tripolis. Giorgos Kyriakopoulos played for three other professional teams. In terms of winning, his team was able to do so in only 20% of Super League's and in 100% of Greece Cup's matches. He also plays for Greece.